Naomi was a young mother of two girls, ages 1 and 5, living in New York with her boyfriend. It wasn’t a healthy relationship — he was violent and abusive toward her, and there were constant fights and beatings. After one particularly bad fight, Naomi decided that enough was enough, and she stood up to him. Her 5-year-old told her mom how proud she was of her for taking a stand. Naomi was shocked that her daughter had realized what had just happened. She thought she had been shielding her children from harm. Truth was, the girls had been aware of the abuse all along. It was then that Naomi knew she had to get out — for her sake and for the kids’. That moment, she realized everything had to change. Naomi and her kids left New York and made their way — with practically nothing — to a domestic-abuse shelter in Florida. 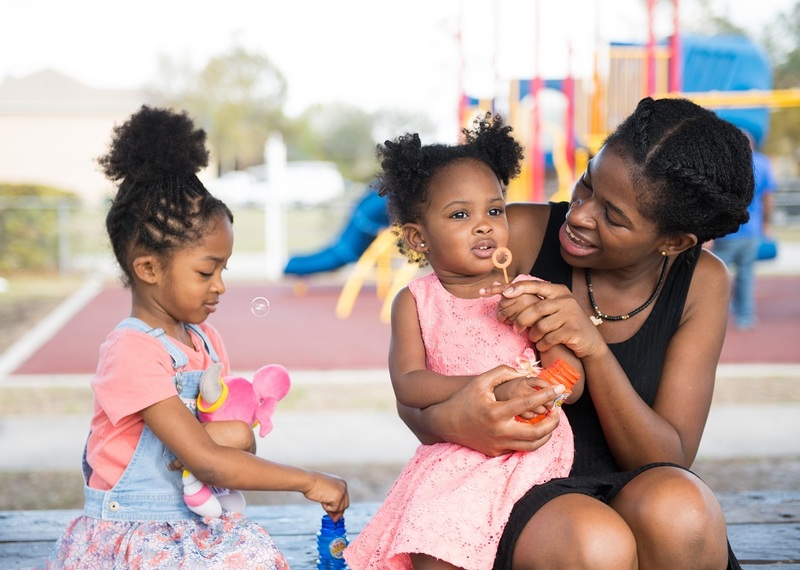 The shelter connected Naomi to a case manager and employment specialist with the Impact Families program, a pilot program launched by the Central Florida Commission on Homelessness and Central Florida Foundation in the fall of 2017. During the pilot phase, the program focuses on families in Orange and Osceola counties and aims to increase financial and housing stability for families, with a strong focus on employment and education. The program has provided Naomi a support system that she did not have previously giving her direct access to an employment specialist and a job developer – whose primary roles are to provide support and remove barriers that may present themselves along the way to becoming self-sufficient. 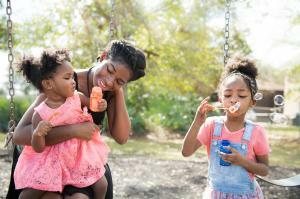 With help from the program, Naomi and her girls were able to leave the shelter and move into an apartment of their own that’s close to daycare, school and work. Finally, a safe place to call home. Now that Naomi lives in a safe area with a strong sense of community, has a job and is able to get ahead for the first time in her life, she can practice self-care too. She loves to write poetry, and now that life is less stressful, she can focus on writing again. “I think it’s good for my girls to see me happy and doing something that I enjoy,” she says. Things have fallen into place and Naomi is working toward a plan for her future – one she looks forward to with a sense of hope. Impact Families is a regional collaborative effort in Central Florida. All program referrals are made through the coordinated entry process at Homeless Services Network and include a variety of nonprofits from around the region. The Homeless Impact Fund at Central Florida Foundation supports Community Hope Center Osceola, Goodwill Industries of Central Florida, Homeless Services Network and Osceola County Human Services as part of the Impact Families pilot program. Central Florida Foundation has managed the investments in the Housing First initiative with more than $7 million in contributions to the Homeless Impact Fund at the Foundation. The Housing First initiative has built a system for housing the community’s most vulnerable chronically homeless individuals, ultimately making homelessness rare, brief and one time. For more information, visit cffound.org.